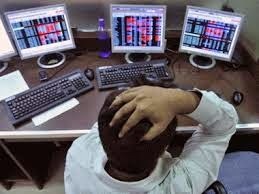 Last trading session Nifty fail more than 70 point below 8285 level, on this down fall Reality, ,Energy and midcap sector more bearish sector 2.4% to 1.5% global market negative trend as well as rupee down 31 paisa against dollar. Central Bank of India got approval from its board of directors to raise fresh capital. MRF rocked today by moving up 10% in the first few minutes of the trade. Auto ancillaries looks weak today. These content Efforts are really appreciable. Anyone can easily understand the thoughts. Also I like your conclusions made on this topic. Thanks for sharing your views about stock market tips.